Some time ago, I received this article in my mailbox titled ‘Why 90-day goals are better than year-long ones’ and I opened on it. It stated five reasons with examples making me conclude that shorter goals do boost productivity and effectiveness of targets you want to achieve. Because as we all know (or is it only me) that most New Year resolutions are down the waste after some time. Some quit due to lack of discipline, some quit once it gets boring, and some felt that the resolutions did not fit them. 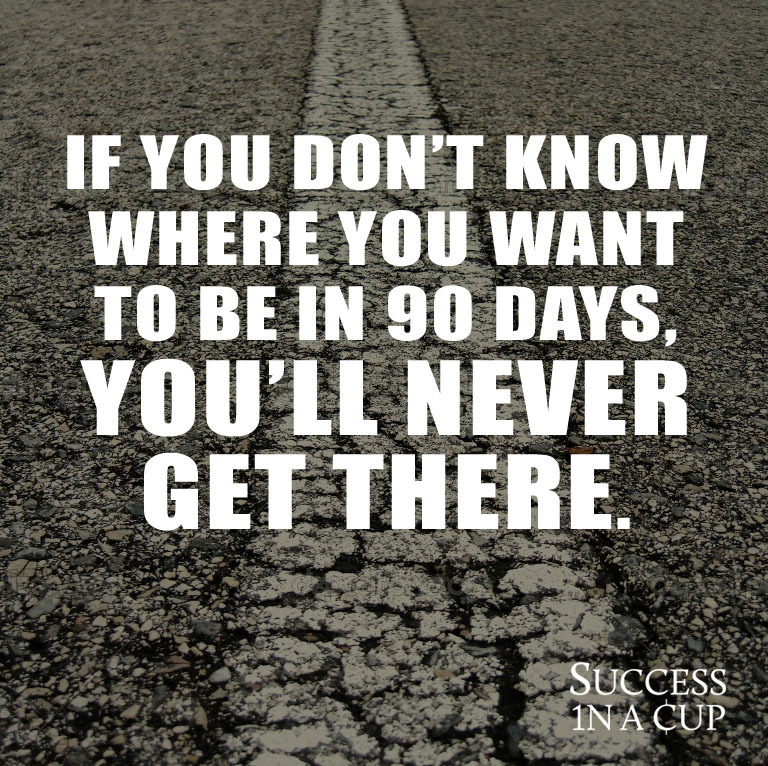 But why 90 days? As explained in the article, 90 days is the right number because it is not too long for me to get bored and lose discipline with while also not too short for legit goals. With quarterly goals, I can easily accomplish more in a year by setting four times amount of goals more than I previously did, resulting in more sense of accomplishments. Also, I could make sure I grow at a steadier rate, instead of trying to rush at the end or leaving me nothing else to do when I’m done before the deadline. However that being said, this will be a new habit that I’ll need to accustom to. After realising the benefits of having quarterly goals instead of yearly, I came up with the term ‘missions’ instead of ‘goals’ as the word ‘mission’ gives me a mindset that I’ve to complete it as part of my ‘quest of life’ whereas ‘goal’ felt something like an earned bonus when I hit it. The only bad point this change will result is my stronger disappointment if I did not complete all the missions. Nonetheless the point in life is to learn and grow continuously, right? For the best of both worlds, I even added my Lifelong missions into the list so I know if I’m always walking towards the right direction with my quarterly missions! That’s it. I am 20 this year.. And from today onwards, I have 30 years to kill myself hard by doing things out of my comfort zone.. If I am still not drop dead by 50, I will make sure I’m living a wealthy and a rich life for my last 30 years! Even if you are 40 this year, you still got 20 years to kill yourself, which I bet YOU CAN DO IT because of your twice amount of knowledge and experiences compared to me! True? Imagine reaping the rewards of living your last 20 years as a wealthy and a rich person! This isn’t just a dream anymore, it’s a blueprint towards your treasure. Share and tag your friends or family to remind them to never stop dreaming big, and then take actions to realise them with their own hands. Let’s better ourselves this year than the previous’ guys! Still can’t believe that you are only 20 years old. You definitely got a long way to go from there if you keep on persisting and will be rewarded handsomely. Good 90 days target there, not something that is a long stream but these are measurable goals to meet. All de best. Yes my age is real haha! wOw wOw…my salute to u…only 20 yrs old and you are making your life coutns. Trust me, u will reach there by 35 yrs old with compounding effect, do aim higher. Appreciate your acknowledgement, I am trying my best as far as I can tell but I can never do it alone. I need people like you and many other bloggers’ experiences and knowledge companying me to walking up this steep slope of life. It’s not easy but I rather try and regret not trying because it’s what I want, at this moment itself. Wah, if I really reach there by 35 years old, it will be a dream come true in advance. If it happens, I wish to share my miracle to people like me with big dreams and burning ambition to stand out from the rats race! piece of writing is truly fruitful in support of me, keep up posting such articles.